Mental health campaigners are "incredulous" five beds for children are unused when 20 patients are being treated "out of the area". Norfolk & Suffolk NHS Foundation Trust (NSFT) created a 12-bed unit in Lowestoft, costing £1m, in September. NHS England said it provides funding to staff seven of the beds and said a national review of needs was under way. But, the NSFT said with the centre's "excellent facilities", it did not see why patients are placed elsewhere. And Anne Humphrys, from a local mental health campaign group, said: "We already know there aren't enough beds across the UK." The Dragonfly Unit at Carlton Court was funded by the NSFT, which provides NHS mental health care. The unit is the only place providing beds specifically for children in Norfolk and Suffolk, so they do not share facilities with adults. 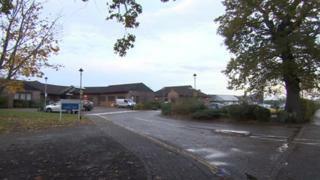 The trust said it currently has to send 20 young patients out of area, due to a lack of beds locally. Ms Humphrys, of the Campaign to Save Mental Health Services in Norfolk and Suffolk, said she was "incredulous there are five empty beds". "Moving out of your local area is more traumatic for young people and their families when they are already emotionally drained, especially if they can't afford to travel," she said. Michael Scott, chief executive of NSFT, said: "It is hard to understand why NHS England are still placing children out of area when we have provided such excellent facilities close to home." An NHS England spokesman said: "Whilst we do have patients in units out of the area, it is not necessarily clinically appropriate to move vulnerable patients - for example, specialist care [for eating disorders] which is not provided by this facility. "A national review of capacity is under way looking at the quantity and type of demand to ensure we can meet that demand as locally as possible." The BBC has learnt the review would be completed some time during the 2017-18 financial year.